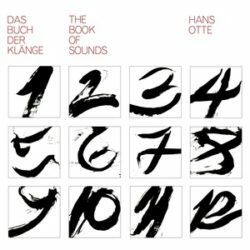 Beacon Sound present a reissue of Hans Otte’s The Book Of Sounds (Das Buch Der Klänge) originally released in 1984. Hans Otte (1926-2007) was a multifaceted artist, poet, pianist, composer, and promoter who synthesized the strands of minimalism, Eastern spirituality, and radical art into his own unique and protean vision. In his younger years he studied under the composer Paul Hindemith and the pianist Walter Gieseking. From 1959 to 1984 he was the director of Radio Bremen and was instrumental in introducing artists such as John Cage, Terry Riley, and Steve Reich to European audiences. Although the compositions and recordings that Otte made over the course of his long career are wide­ranging, The Book Of Sounds is considered to be his masterwork. A solo piano piece, it was written between 1979 and 1982 after a major survey of his previous artistic output and should be viewed through the prism of his own self-development: both as a return to his roots and as a new beginning. It is a cyclical collection of 12 “chapters” that are inspired partly by John Cage’s desire to get to the root of sound itself, to liberate it from the weight of expectation and tradition and to view all sound as a manifestation of nature. In a 1979 interview, Otte answered a question about whether his work had a “common core” by saying, “I would say that behind my artistic work, as an aim or hope, is the need to find myself. In other words: despite all the separating structures, the division of all the work, the ideologies, fixed ideas, systems, despite the state and everything that ceaselessly tries to separate and divide us, I fundamentally want to be complete.” It might be tempting to assign The Book Of Sounds to the aesthetic of minimalism; however, it is a deceptively sophisticated collection of pieces that unfolds slowly over repeated listens with shifting harmonics and unusual structural touches that keep it firmly on the side of “avant-garde”. Includes booklet with contemporary liner note contributions by Terry Riley, Inga Ahmels, and Dustin O’Halloran as well as a reprint of a 1982 Village Voice live review by Tom Johnson and photos taken by his daughter Silvia. First edition of 500.